Turku had the honour to act as the European Cultural Capital in 2011. Turku 2011 -foundation was established by the city of Turku and was in charge of leading the project. The budget of Finland’s biggest culture project was 55,5 million euros. According to research, the image of Turku as a European cultural city increased during the year and the culture life of Turku is now being viewed with more interest than ever before. Over 8.200 events and occasions were organised thoughout the year. Participation in the events were 23.000 artists nad producers, from where almost 2.000 were from outside of Finland. There were also 13.000 volunteers participating in the events. There were 2,2 million visits in total during the year of the Cultural Capital and 248.000 participants visited the main arena Logomo. The theme of the year was Culture does good, and it was seen in the cheerful and lively image of the year. 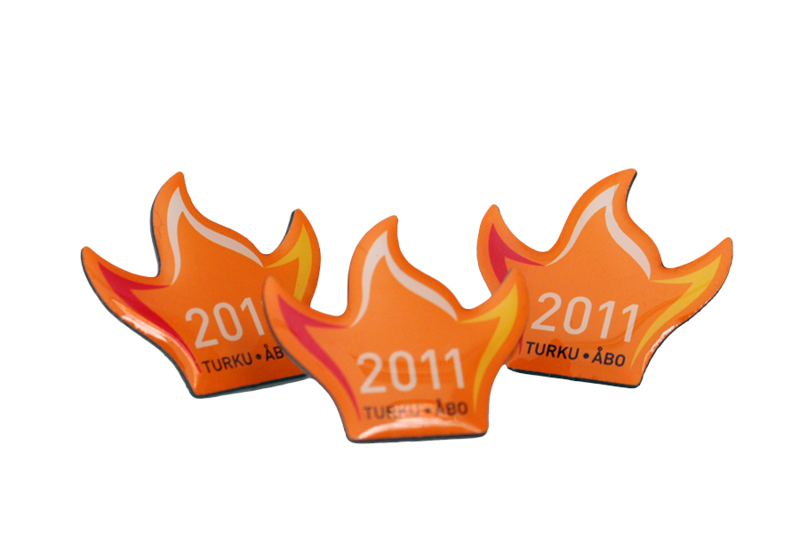 The core elements of official products were an orange ball and a flame, which were inspired by the infamous Turku fire. The product selection got praising for being versatile and considering all ages, as well as different characteristics. More On Ltd. was able to deliver quality and practical products that fit the image of the special year. More On ltd. was the official partner of the event and was responsible for planning, implementing and selling all of the Turku2011 products. The products were sold at the Turku 2011-online store. During the event, the products could also be found in locations such as stores, the Logomo shop, museums and a variety of other events. The profit was used to support the project. More information about the event can be found here www.turku2011.fi. Don’t hesitate to contact us. We will gladly tell you more!